Around 10AM PST today, Google+ for consumers officially went offline. The below screenshot is all any Google+ page now redirects to. The network was the latest link in a chain of half-baked efforts in social media. They included interconnect mediums such as Google Wave that were supposed to bring together email, social networks, instant messages, and other sources. Just prior to G+, the company put together a mess of instant messaging features and shoehorned them into Gmail, calling it Google Buzz. It was felled after two years on major privacy failures. Any one of these services served at best as a bridge for people who had to be across many existing social media in their lives, but they were never strong enough to stand as a sole alternative to Facebook and Twitter. Born on June 28, 2011, the "Google+ project" brought a simple premise to the fore: users could interact with their "Circles" of friends the way they want to, sharing as much or as little information with each as they'd like. People could follow topics or "Sparks" to learn and contribute interesting links, pictures, and experiences. A rudimentary instant messaging system was rolled in, intended for people to "Huddle." The advent of Google+ also brought about a video-calling medium that later turned into a chat app of its own right, the moribund Hangouts. Before it became a cancerous Frankenstein of SMS, phone calls, and live streaming, Hangouts was meant for impromptu gatherings or catching up with friends and co-workers. 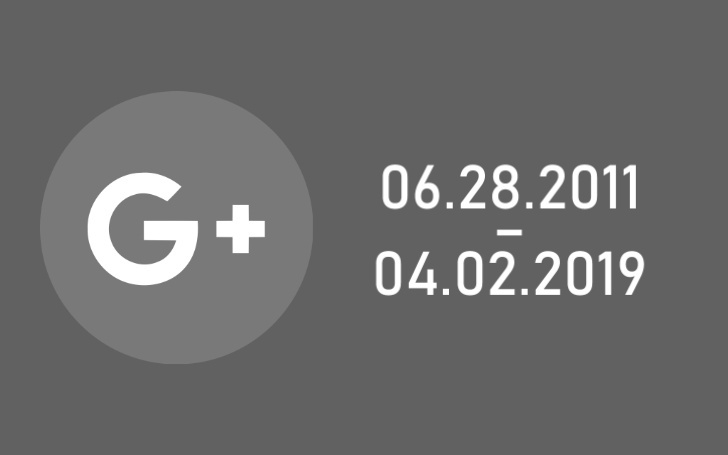 Android Police played a role in bringing more than 7,800 people onto Google+ in the first few days of early access. The masses jumped in to experience another take on digital society which, even in 2011, had already matured into a pig's trough of commercial content, political trolling, and unvarnished angst. Many who joined hoped things would be better over the fence and that they could share their lives on the internet with the focus and attention that every disparate part of them so deserved. The tech behemoth had the ammunition to do damage with more than 500 million users by its third birthday. One way it could boast that number was through aggressive integrations with sister services. It made G+ registration compulsory when signing up for Gmail or Google Play Games. Most notably in 2013, Google started requiring G+ accounts for those who wanted to post comments on videos uploaded to Google-owned YouTube, meaning real names had to be used. The anonymous legions of YouTube commenters complained about losing their right to post whatever they wanted — with or without vitriol — in the snug privacy of an alias. YouTube comments became more of a joke to deal with than ever. 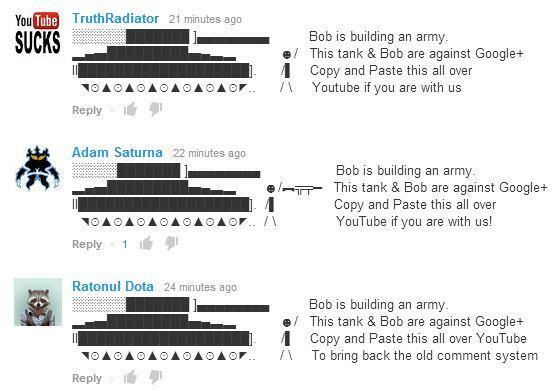 There was less discrimination and verbal assault against video creators, sure, but many G+ opponents were simply copying and pasting ASCII art of some stick figure named "Bob," telling Google to bring back screennames. If this subject reeks of overtures from all the stories we've seen about online harassment and extremist radicalization, it may have been a shame that Google killed off this would-be salve in 2015. 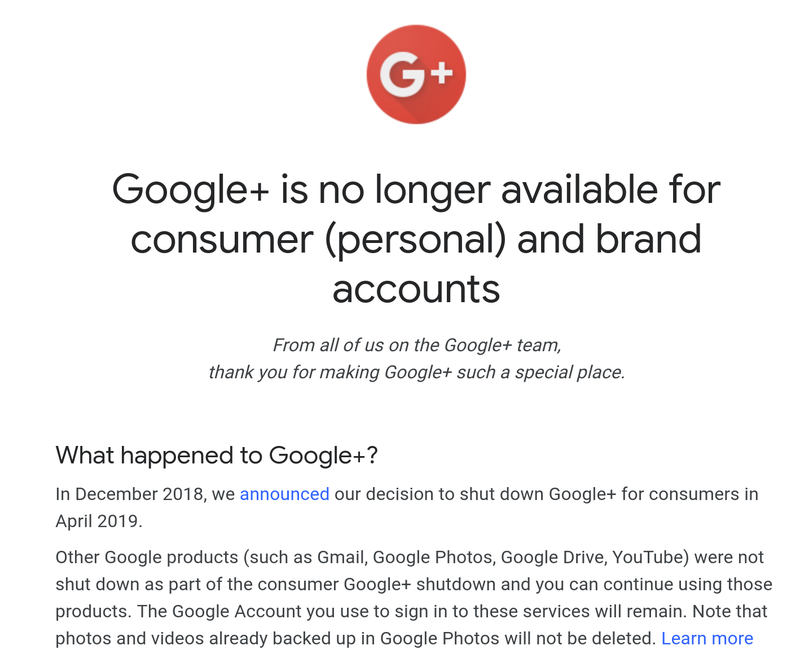 Then again, Google+ had killed off all of its goodwill, too. Faded hopes didn't change Google+ as much as Google's own data gathering and profit calculations did. Ultimately, more people ended up falling back into the vortices of mainstream social media or sought more reclusive alternatives like Instagram and Snapchat. Eventually, it was this sandwich of spam, ads and overreach that took its toll on Google+. The platform had ended its use of invasive recruiting tactics while doing little else to retain its base. Those who have most recently been using the site spent 5 seconds or less at a time before drifting away. Google actually admitted that tidbit last October in a leaked internal memo about a vulnerability that allowed third parties access to private information from users' friends and relatives without their consent. Although it was patched quickly, it was not disclosed in short order for fear of regulator scrutiny. In December, Google revealed that another vulnerability, with similar implications affecting more than 52 million accounts, had to be patched in the previous month. The incident sped up the company's clock for Google+'s shutdown. It announced its final timeline on January 30. The company had arguably kept Google+ alive for much longer than it should've cared to. Much of that care should have gone instead to Hangouts: for all its faults, it became a convenient direct communications app that people with Gmail accounts came to rely on. It has gained second lives with spur-off apps for enterprise users and is expected to carry on a meaningful legacy long after its initial run. Google+ will have to be remembered for what it used to be, the content it used to hold, the posts and comments that people might dig up in their Google Takeout archives one day — if they chose to keep them — and in at least one way, it will be fondly regarded. Account for all the other ways in which the network sought to stay afloat through different modes of attrition, though, and we are left with one overlong footnote in Google's biographic annuls.